The Chinese calendar display is not too practical, so the Gregorian calendar date is displayed on blued steel serpentine hand in the centre. This is not the first perpetual designed for a specific demographic. Gerald Genta once made an Islamic perpetual calendar. 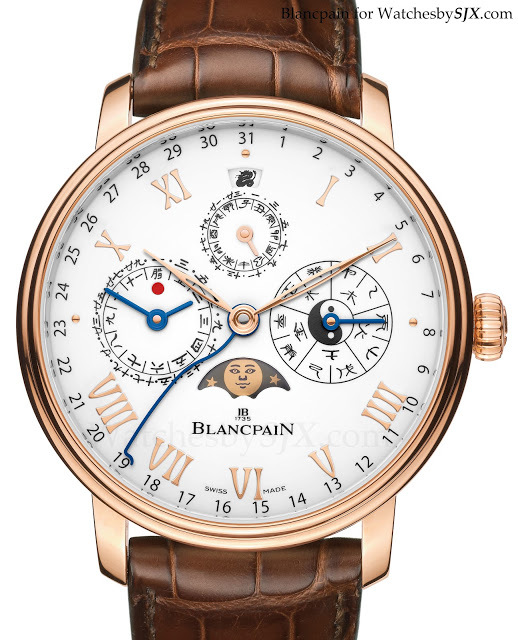 While this Blancpain novel and probably slightly more complex to execute than the conventional perpetual calendar, I wonder if a watch that so blatantly panders to the biggest watch market will actually appeal. The concept leaves me sceptical. 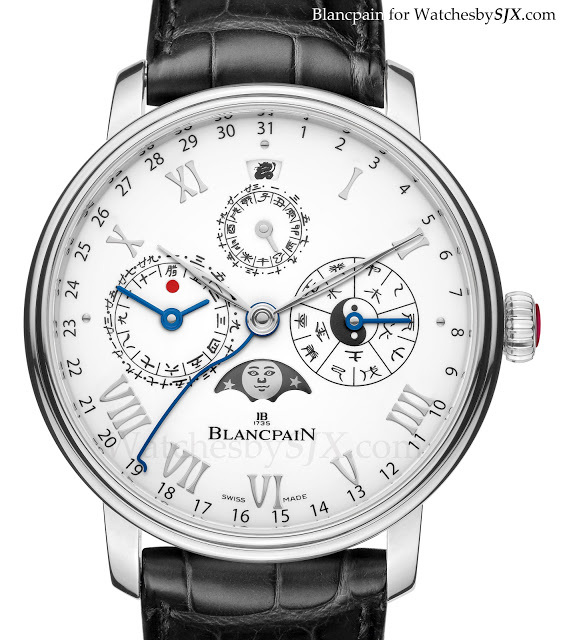 The case is 45 mm and features Blancpain’s patented under-lug correctors for the calendar, leaving the case band free of pushers. 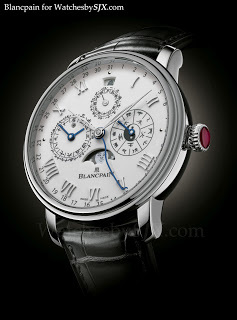 Inside is the in-house calibre 3638 with seven day power reserve. 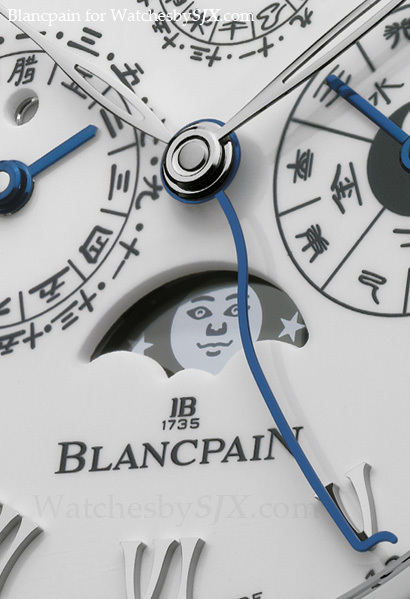 The dial is grand feu enamel, which explains the thickness of the dial visible through the windows for the calendar. 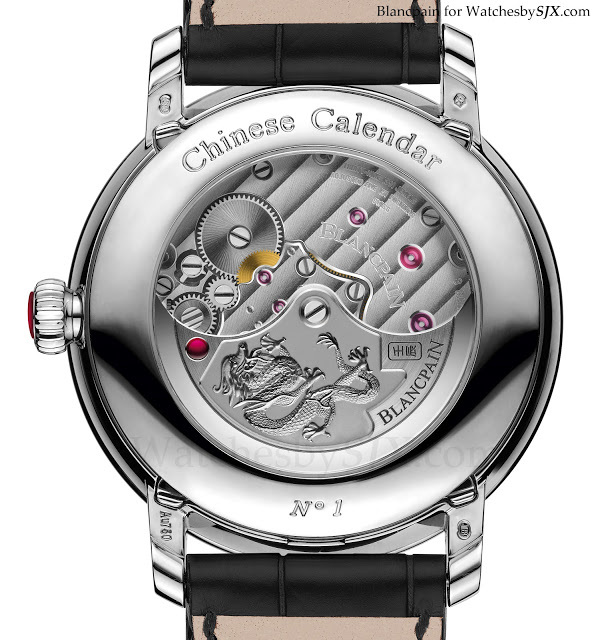 The platinum version shown above is limited to 20 pieces, with a ruby set into the crown and a dragon engraved on the rotor. The rose gold model below is regular production.